Gary L. Fortner, 74 of Ashville, OH passed away at home on Wed. April 3, 2019. Gary was born on July 22, 1944 to the late Charles Wm. “Bill” and Pearl (Fausnaugh) Fortner in Circleville, OH. Gary was a member of the last graduating Class in 1962 from Ashville High School and had owned and operated along with his brother Chet, Fortner Auto Supply. 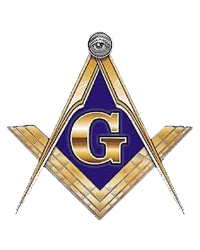 Gary was a member of Zion United Methodist Church, 32° Mason of Groveport Lockbourne Lodge, Aladdin Shrine and numerous Fraternal organizations. He was a retired Volunteer EMT/Firefighter from Harrison Twp. Fire Dept. and enjoyed going to make coffee at South Bloomfield Speedway. Gary is survived by wife of 54 years Gretchen K. (Hott) Fortner; daughters Penny (Chris) Dawson of Ashville, Patricia (Thomas) Schindler of Columbus and Pearl (Everett) Thompson of Dublin; grandchildren Stevie, Caleb, Eva, Ella, Audrey, Isaac; great grandson Jayce; brother Chester (Arlene) Fortner and William Fortner of Ashville; numerous nephews and nieces. Gary is also preceded in death by sister-in-law Patricia.